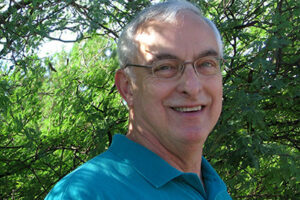 Arnold Jackson is coordinator for Age-Friendly Maricopa. This week has a full slate of activities for Maricopa. Below, Arnold Jackson talks about the second Senior Info/Expo. Plus look for the annual Maricopa Meadows Disc Golf Tournament, a trip to Kartchner Caverns, a Laura Walsh concert and much more. 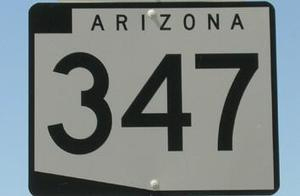 For details on these and more listings, or to add your own, visit InMaricopa.com/Calendar. The Fairchild Blues Tribute band performs at 1 p.m. at Harrah’s Ak-Chin Casino, 15406 Maricopa Road. Wired: A Social Media Networking Event is at 8 a.m. at Maricopa Center for Entrepreneurship, 20800 N. John Wayne Pkwy, Ste. 108. M.O.R.E.E. Trip to Kartchner Caverns leaves at 9 a.m. from Copper Sky Multigenerational Center, 44345 W. Martin Luther King Jr. Blvd. Lunch & Learn is at noon at Maricopa Center for Entrepreneurship, 20800 N. John Wayne Parkway, Ste. 108. Benson Family Singers perform at 6:30 p.m. at Calvary Chapel, 44301 W. Maricopa-Casa Grande Hwy., Suite 105. Free Diabetes Education Class is at 5:30 p.m. at Maricopa Public Health Clinic, 41600 W. Smith-Enke Road, Building 15. Age-Friendly Committee meets at 1 p.m. at Maricopa City Hall, 39700 W. Civic Center Plaza. Maricopa Meadows Disc Golf Tournament starts at 10 a.m. at Maricopa Meadows Disc Golf Course, 45725 W. Honeycutt Ave.
Wilderness and Remote First Aid Training is at 8 a.m. at Copper Sky Multigenerational Center, 44345 W. Martin Luther King Jr. Blvd. Camino Montessori Open House is at 9 a.m. at Camino Montessori, 44301 W. Maricopa-Casa Grande Hwy. Senior Info/Expo is at 10 a.m. at Maricopa City Hall, 39700 W. Civic Center Plaza. Maricopa Community Awards Banquet is at 5:30 p.m. at Elements Event Center at Ak Chin Circle, 16000 N. Maricopa Road. Laura Walsh performs at 5:30 p.m. at Arroyo Grille at Ak-Chin Southern Dunes, 48456 W. Hwy. 238. Maricopa can expect lots of clouds this week. Maricopa can expect a temperate January week with a lot of clouds and highs in the upper 60s to low 70s, according to the National Weather Service. Sunday‘s forecast has mostly sunny skies with a high near 74 degrees. The night will be mostly cloudy with a low around 50. Monday, expect the day to be mostly cloudy with high around 73. Calm winds will increase slightly overnight, which will remain mostly cloudy. The low will be around 48. Tuesday is forecast to be partly sunny, with the high around 69. The nighttime low will be around 46 under mostly cloudy skies. Wednesday is looking to be mostly sunny with a high again near 69. The night will be partly cloudy, and the low will again be 46. Thursday also expects mostly sunny skies with a high near 69. The overnight low will be around 47 and skies will be partly cloudy. Friday brings a 10-percent chance of precipitation, but the day is expected to be mostly sunny with a high near 67. A poetry slam, a free concert by a rock star, a family fishing day and much more will be happening this week in Maricopa. Below, Slam Master Bernard “The Klute” Schober shares some highlights. For details on these and other listings, or to add your own, visit InMaricopa.com/Calendar. You Are My Sunshine is at 1 p.m. at Maricopa Public Library, 41600 W. Smith-Enke Road. Friends of the Maricopa Library General Meeting is at 5:30 p.m. at Maricopa Public Library, 41600 W. Smith-Enke Road. Childcare & Babysitting Class is at 5:30 p.m. at Copper Sky Multigenerational Center, 44345 W. Martin Luther King Jr. Blvd. Planning & Zoning Commission Meeting is at 6 p.m. at Maricopa City Hall, 39700 W. Civic Center Plaza. Men’s Softball Opening Night is at 6:30 p.m. at Copper Sky Regional Park, 55345 W. Martin Luther King Jr. Blvd. M.O.R.E.E. trip to Biosphere 2 leaves at 9 a.m. from Copper Sky Multigenerational Center, 44345 W. Martin Luther King Jr. Blvd. Professional Series is at 11 a.m. at Maricopa Center for Entrepreneurship, 20800 N. John Wayne Parkway, Ste. 108. NAACP: Let’s Have That Talk is at 6:30 p.m. at Copper Sky Multigenerational Center, 44345 W. Martin Luther King Jr. Blvd. All-Maricopa Poetry Slam is at 6:30 p.m. at Honeycutt Coffee, 44400 W. Honeycutt Road, Suite 109. Co-ed Novice Softball Opening Night is at 6:30 p.m. at Copper Sky Regional Park, 55345 W. Martin Luther King Jr. Blvd. 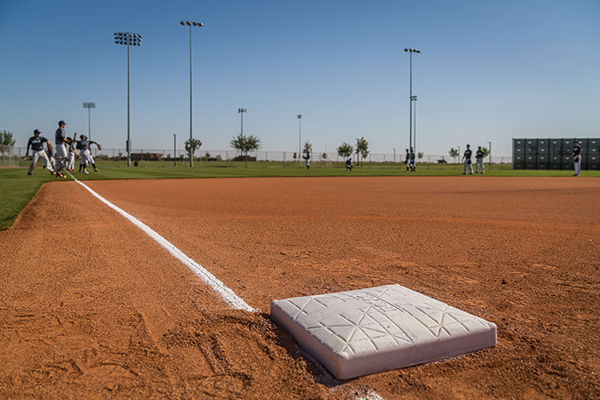 Co-ed Comp Softball Opening Night is at 6:30 p.m. at Copper Sky Regional Park, 55345 W. Martin Luther King Jr. Blvd. Timothy B. Schmit will play a free concert at 8 p.m. at The Lounge at Harrah’s Ak-Chin Casino, 15406 Maricopa Road. Family Fishing Day starts at 8 a.m. at Copper Sky Regional Park, 55345 W. Martin Luther King Jr. Blvd. 2nd Saturday Market is at 8 a.m. at Copper Sky Regional Park, 55345 W. Martin Luther King Jr. Blvd. Coffee with the Chief is at 8 a.m. at Copper Sky Police Substation, 17985 N. Greythorne Drive. 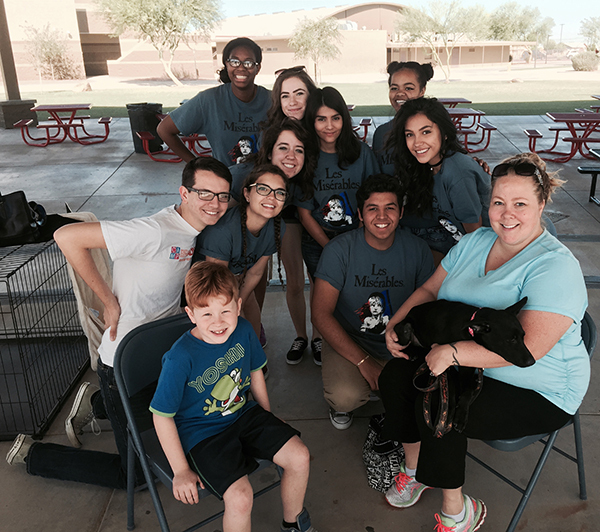 Pet Adoption Drive hosted by MHS Theatre Company is at 9 a.m. in the courtyard at Maricopa High School, 45012 W. Honeycutt Ave.
Free Shredding Event is at 9 a.m. at Maricopa Wells Middle School, 45725 W. Honeycutt Ave.
Football Team Car Wash for F.O.R. 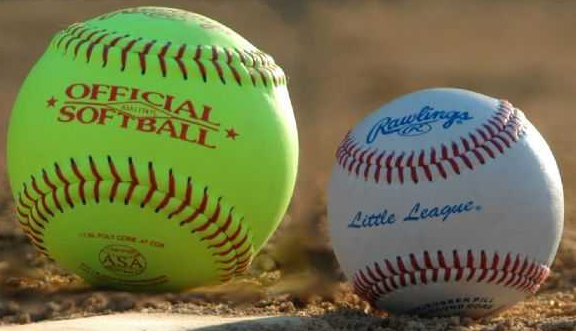 Maricopa is at noon at Maricopa Wells Middle School, 45725 W. Honeycutt Ave.
Co-ed Comp Softball Sunday Opening Night is at 6 p.m. at Copper Sky Regional Park, 55345 W. Martin Luther King Jr. Blvd. Co-ed Novice Softball Sunday Opening Night is at 6 p.m. at Copper Sky Regional Park, 55345 W. Martin Luther King Jr. Blvd. A Ray of Hope meeting of Narcotics Anonymous isa t 7 p.m. at Maricopa Community Church, 44977 W. Hathaway Ave.
An American musician, singer and songwriter, Timothy B. Schmit is best known for his work as the bass guitar player and singer for the Eagles and Poco. 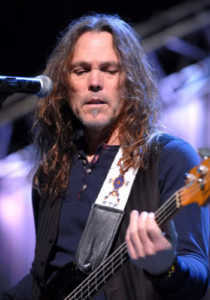 He was inducted into the Rock and Roll Hall of Fame as a member of the Eagles and has become a successful solo artist. The Eagles also received Kennedy Center Honors this year after the passing of founder Glenn Frey. He will play a free concert in The Lounge at Harrah’s Ak-Chin Casino on Jan. 13 at 8 p.m.
Tanner Hughes came from third place to win the Saguaro Amateur at Ak-Chin Southern Dunes Wednesday. Hughes is a sophomore at University of California. In a field of 112 golfers over three rounds, Hughes shot 9-under to win by a stroke over Zach Smith of California and the two-day leader Daniel Connolly, a San Francisco native who is a freshman at Southern Methodist University. The winning shot came in dramatic fashion on the 18th hole with Hughes trailing Connolly, his playing partner, by one. Hughes’ approach shot stopped just nine feet from the hole. Connolly’s back-nine struggles continued, and he bogeyed the hole. Hughes rolled in his final putt for the two-stroke reversal that gave him the trophy. Last year’s winner, Wes Artac, finished sixth. The round of the tournament came from Zachary Burry, an Illinois State junior, who shot a 65 on the 72-par course Wednesday to move from 4-over to 3-under and a tie for 11th. 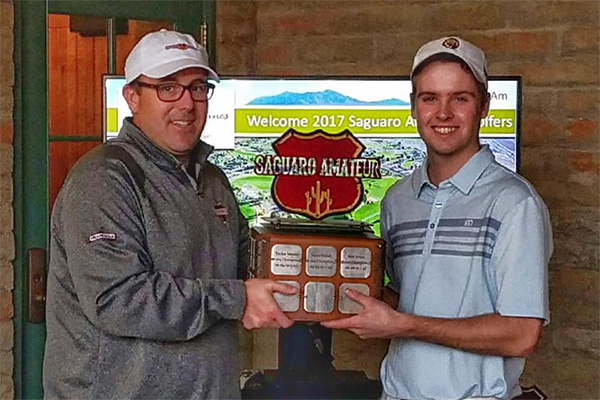 Ak-Chin Southern Dunes has hosted the Saguaro Amateur since 2014. The event is also sponsored by Troon Golf and Marriott Fashion Center in Chandler. The most expensive home sold Nov. 16-Dec. 15 was in Glennwilde, a four-bedroom house with just one owner since it was built in 2007. It was on the market almost four months. The 10,000-square foot lot has a pool with waterfall, patio and pad for outdoor dining. Features: Single-story home full of upgrades, pool, synthetic grass, gourmet kitchen, huge master suite. Big 5 was among companies picking up new business licenses in Maricopa last month. The New HQ also had a cold-holding issue. Items in a cold prep table were above 41 degrees, and a countertop refrigerator would not hold colder than 50 degrees. The restaurant was graded satisfactory. Maricopa Chamber of Commerce has announced the finalists for the 10th annual Maricopa Community Awards. 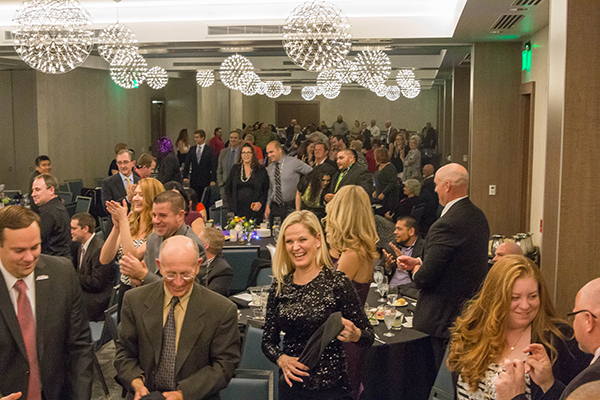 The awards banquet, this year a Black and White Gala, is set for Elements Events Center at Ak-Chin Circle, 16000 N Maricopa Road, Jan. 21 from 5:30 to 9:30 p.m., when the winners will be announced. Chamber members vote on the recipients of the seven awards. ADOT is using this map to indicate continued slow traffic in the region due to a fatal crash on SR 347 today. State Route 347 will remain closed in both directions throughout the evening following an earlier crash at Riggs Road, according to the Arizona Department of Transportation. Southbound lanes are closed at Interstate 10. Troopers are directing northbound traffic onto Riggs. Motorists planning to travel on I-10 eastbound through the Valley should consider taking SR 85 near Buckeye to I-8 instead. I-8 reconnects to I-10 near Casa Grande. A crash has closed both directions of travel on State Route 347 at Riggs Road, according to the Arizona Department of Transportation. Specifics on the accident are not yet available. A motorist at the scene reported seeing several ambulances on site and children on the side of the road. Southbound traffic is stopped at the intersection. Troopers are directing northbound traffic onto Riggs. There is no established freeway detour and no estimated time to reopen the roadway. Motorist should plan an alternate route. A Maricopa man accused of killing his wife with a sword was arraigned Dec. 23. Miguel Figueroa Sr., 45, was indicted Dec. 19 on four felony counts, including first-degree murder. His bond, first set Dec. 12, was maintained at $750,000. Figueroa was arrested Dec. 10. The body of his wife Olivia was found later that night. Nine days later, a Pinal County grand jury indicted Figueroa on charges of premeditated murder, a class-1 felony, kidnapping his wife, a class-2 felony, and two counts of aggravated assault, on his wife and on his son, by allegedly threatening them with a gun, class-3 felonies. A funeral mass was held for Olivia Figueroa, 43, Dec. 17. The night of her death, residents in the Maricopa Meadows subdivision reported seeing and hearing a man assaulting a woman and forcing her into his truck. Figueroa’s son reported being assaulted and his mother threatened before his father drove off with her in a pickup truck. Later in the evening, Figueroa reportedly contacted his daughter, allegedly telling her he had killed Olivia. That call eventually led Maricopa Police to Figueroa at his mother’s house in the Heritage District, where responding officers reported the suspect had a sword in his hand. In a July 13 visit from the Pinal County Environmental Health Department, Maricopa’s KFC received the second worst rating, with 10 violations cited. Three restaurants received less serious mark-downs during visits the previous month. A dozen eateries were given top marks. KFC was given an N rating for “needs improvement.” According the report, the inspector saw no hand soap available in the hand-washing sink, watched an employee touch cooked chicken with a bare hand, saw food debris on the prep line, floor and walls with encrusted food and debris, walk-in refrigerator and freezer with trash and food debris on the floors, a mop sink with dirty water unable to drain, no lid on a trash can in the restroom, clutter and unused equipment in outdoor storage facility including broken toilet plunger and broom head, no trash can at the drive-in window hand-washing sink, food debris on food racks and pans and an employee wearing an apron covered in food debris with no replacement available. It was the beginning of tough times for the eatery. Two days after the inspection was filed, a kitchen fire briefly closed the restaurant. Say Sushi was cited for lack of date marking on food items in refrigerators and received an S for satisfactory. Sunrise Café was marked down for a refrigerator with a temperature of 52 degrees, well above the accepted standard of 41 degrees, having raw potatoes at 52 degrees (discarded) and for not having test strips for sanitizing solutions. In a re-inspection, True Grit Tavern corrected previous citations but still had a prep table top above 41 degrees and was told to replace it. Sonic was requested to use a thermometer when cooking hamburger. Rancho El Dorado sported the least expensive home sold in a month's time. 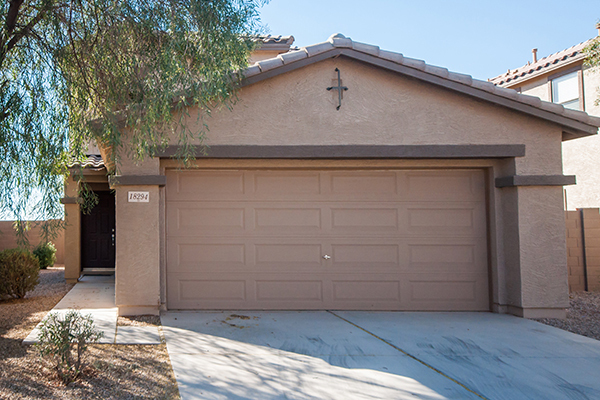 The least expensive home sold in Maricopa between May 16 and June 15 was in one of the oldest neighborhoods in the Rancho El Dorado subdivision. On the market for a little over a month, the three-bedroom, two-bath home has the basics for a home built 14 years ago. In a month's time, the most expensive home sold in Maricopa went for less than $300,000. The most expensive home sold in Maricopa between May 16 and June 15 was a former model home on an 8,361-square-foot lot in Province. The solar, energy-efficient home sold for $299,000. The ranch-style home has three bedrooms and two baths. It was on the market for 90 days and sold for cash at its asking price. Features: Solar panels, solar water heater, upgraded appliances, gourmet kitchen, double wall ovens, covered patio, next to green public space. 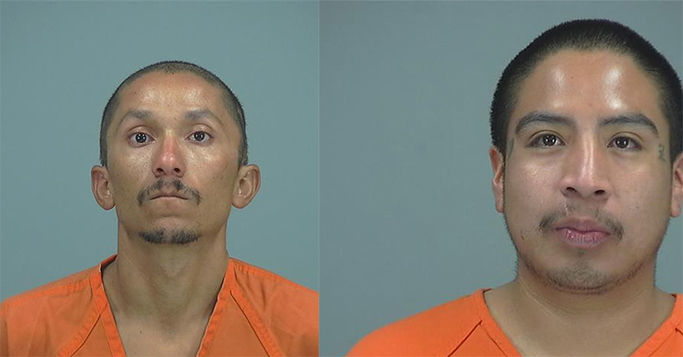 Two Maricopans ended up behind bars after separate incidents Thursday that attracted the attention of Pinal County Sheriff’s deputies. Rodolfo Garcia Guzman, 28, was arrested around 4 p.m. after a fight. He is accused of disorderly conduct and two counts of threatening with bodily harm. He was arraigned Friday in Maricopa/Stanfield Justice Court and his bond is set at $500. A court hearing is set for Monday. Later, at around 10 minutes before midnight, Joshua John Zepeda, 23, of Maricopa was arrested in the 36000 block of West Highway 84 in Stanfield. He faces charges of second-degree criminal trespassing and a series of charges of noncompliance with an earlier sentence. Each of three counts of noncompliance was bonded for $1,500. One count of compliance with sentence related to his monetary obligations had a bond amount of $500. No bond was given for the trespassing charge, a Class 2 misdemeanor. A pretrial conference is set for Aug. 9. In December, Zepeda pleaded guilty to two counts of possession of drug paraphernalia. Maricopa’s 9-10 Softball team plays for the District 4 championship tonight against Coolidge in the Little League All Stars Tournament. The game starts at 7 p.m. at Kenilworth Sports Complex in Coolidge. 11/12 Baseball – Maricopa vs. Tri-Cities in Superior at 6 p.m. The first transcontinental flight in the United States, a Wright Model EX piloted by Calbraith Perry Rodgers, landed in Maricopa on Nov. 1, 1911. After spending the night while the mechanic made repairs, Rodgers flew into Phoenix for a short exhibition. Cal Rodgers’ main mechanic, Charlie Taylor, was mechanic for the Wright Brothers and followed Rodgers across the country by train to make frequent repairs. In those days, flyers used the rail lines as an “iron compass.” Taking 49 days – only 82 hours and 4 minutes if which was flight time – Rodgers completed the first transcontinental flight from New York to Pasadena, California, on Nov. 5, 1911, and then flew on to Long Beach to deliver the mail, for a total distance of approximately 4,321 miles. A truck backed into a Hidden Valley home Wednesday night, causing a fire and leaving the driver dead. Two people in the home were rescued, but the house and a nearby recreational vehicle were destroyed. The deceased man has not yet been identified. The residents did not recognize him or his truck and did not know why he was on the property in the 1900 block of Brower Lane. According to Pinal County Sheriff’s Office, the pickup truck backed into the house at around 10:30 p.m. The crash awoke the man and woman in the house. They found the male driver unresponsive. When the house ignited, the couple fled to the back yard, and became trapped. A PCSO deputy and U.S. Border Patrol arrived on the scene at about the same time to find the house and truck fully engulfed in flames. They heard screaming from the back yard, where they found the residents trapped in fenced area with their two dogs. The enclosure was six-foot wrought-iron fencing with a locked gate that the couple could not open or climb over. The border agent knocked down a section with his vehicle to free them. The two people, both 57, had only minor injuries. “I am thankful for the quick actions of the deputy and the U.S. Border Patrol agent to get this couple and their dogs safely away from the burning house,” Babeu said. State troopers will focus their enforcement patrols in areas where statistics have revealed a higher frequency of injuries and fatalities resulting from crashes related to dangerous driving behavior. The focused enforcement during the Independence holiday weekend, July 1-4, is designed to promote safe and expeditious travel along Arizona’s highways. The Arizona Department of Public Safety (DPS) will participate in or conduct DUI task forces, saturation patrols, aggressive driver enforcement, commercial vehicle enforcement and assisting stranded motorists. “The enforcement corridors selected for the holiday weekend are based on crash data collected from 2015, and the intent is to save lives through aggressive traffic enforcement in and around those corridors,” said DPS Lt. Col. Daniel Lugo, assistant director of the Arizona Highway Patrol. Regionally for Maricopans, that means DPS saturation patrols in Casa Grande and at Rawhide. The latter venue is hosting a July 2 event, and traffic from 4 to 11 p.m. is expected to cause traffic congestion on Interstate 10 in south Phoenix and west Chandler. Commercial vehicle enforcement will increase along I-40 from the California border to the New Mexico border and I-10 west of metropolitan Phoenix. The focus is on reducing fatal and injury crashes involving commercial vehicles and non-commercial vehicles. Lake Pleasant – July 3 no parking will be permitted along SR 74. DPS and Peoria PD will be patrolling and citing violators. Further traffic restrictions may be enacted if the park reaches capacity for campers and / or boat parking fills up. Restrictions are anticipated 9–11 p.m. for a fireworks show. 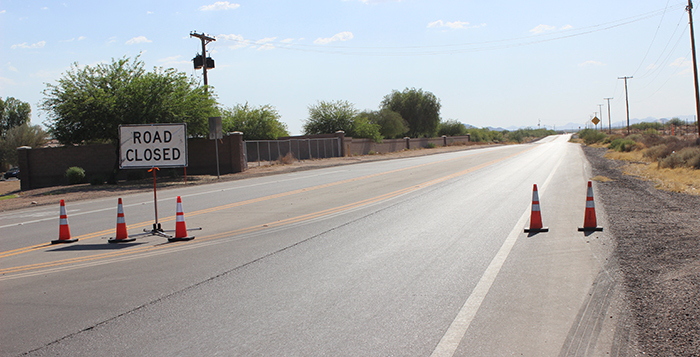 Peoria – July 4th Fireworks show expected to cause traffic congestion along the Loop 101. DPS will conduct saturation patrols along the Loop 101. Phoenix – July 4th Event being held 6-10 p.m. at Third Street and Indian School; fireworks show expected to cause traffic congestion on nearby freeways beginning at 9:30 p.m.
Tempe Town Lake – July 4 Saturation patrols from 4 p.m. until 11 p.m. Drivers who stop on Loop 202 at Tempe Town Lake to watch the fireworks, continue to be a problem. Last year troopers cited a number of drivers for literally stopping on the freeway to observe the fireworks. Several collisions were reported in the area. This year troopers will provide aggressive enforcement aimed at educating and if warranted, citing drivers and removing vehicles that stop on the Loop 202 bridge over the Tempe Town Lake. Westworld – July 2 saturation patrols along Loop 101 from 9 to 11 p.m. Fireworks show expected to cause traffic congestion on Loop 101 beginning at 9 p.m.
Commercial vehicle enforcement will increase. Cochise, Graham and Greenlee counties – DPS will conduct saturation patrols and participate in the Southeastern Arizona DUI Task Force as well as the Eastern Arizona DUI Task Force. A man in a wheelchair was injured when a fire started in his Acacia Crossings home June 26. The fire started in a bedroom in the house on Portabello Road. 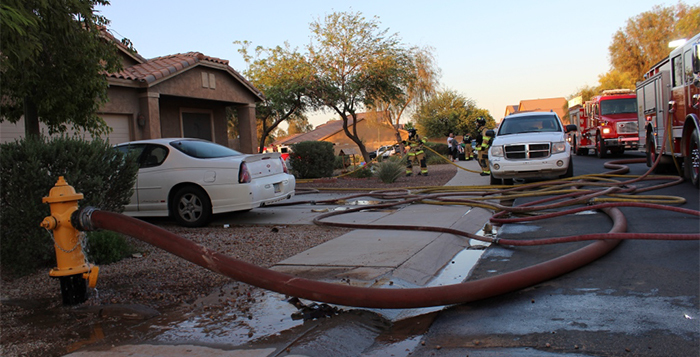 Maricopa Fire Department crews arrived to find the 30-year-old man had been able to leave the house but had suffered burns to his face, arms and chest. He was transported to a hospital while firefighters extinguished fames in the bedroom, resulting in minimal damage to the house. State Route 238 has been closed to through-traffic since 11: 25 a.m. and remains closed until further notice after a fatal crash, according to the Arizona Department of Transportation. Officials closed the road starting at milepost 40, about four miles west of SR 347 near Ralston Road, to give traffic an alternative route around the site. The actual crash was much farther west near State Route 85 in Maricopa County. Local traffic is still allowed through. According to the Department of Public Safety, a rollover collision blocked traffic in both directions. The DPS commercial vehicle enforcement unit assisted Maricopa County Sheriff’s Office at the scene. 9/10 baseball Maricopa v. Casa Grande at Copper Sky @ 6:30 p.m.
9/10 baseball – Superior v. Coolidge 6:30 p.m.
Senior baseball – Oracle v. Casa Grande @ 5:30 p.m. Winner plays Coolidge @ 8 p.m. Both an excessive heat warning and an air-quality advisory will come into effect this weekend. More blistering heat is on the way, and Maricopa will see both a heat warning and an air-quality advisory this weekend. Tonight’s low will be around 74 degrees, according to the National Weather Service with barely a breeze. Saturday will be sunny and hot, with a high near 111. The wind will be light and variable at 5-10 mph in the afternoon. Saturday night will have a low of a warm 83 degrees. Sunday is expected to leap to 118 degrees, again with only light winds to take the edge off. The nighttime low will only get down to around 86. Monday will be almost exactly the same, with more sun and 118 degrees forecast. The rest of next week will “cool off” only slightly, possibly as low as 112 by next Friday. The excessive heat warning issued by NWS is in effect from June 19 at 10 a.m. until June 22 at 9 p.m. Desert temperatures are expected to be 115-120 degrees. Heat-related illness will be likely for those doing strenuous activity outside and for those with health conditions who do not have adequate access to air conditioning. The Pinal County Department of Air Quality has issued an Ozone High Pollution Advisory for Saturday and Sunday. That means the forecast weather conditions combined with existing ozone levels are expected to result in local maximum eight-hour ozone concentrations that pose a health risk. Ozone is an air contaminant that can cause breathing difficulties for children as well as adults with respiratory problems. A decrease in physical activity is recommended.